A video is worth a thousand words and adds emotion and personality to any event. 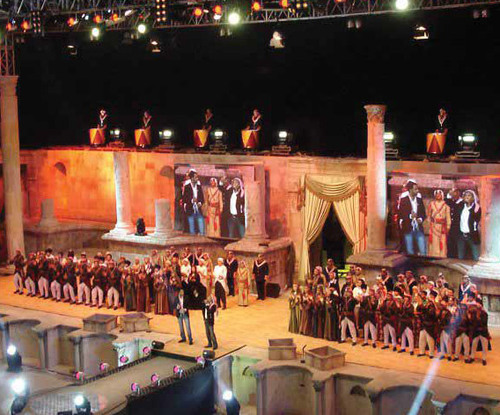 We operate the highest quality projection and video display equipment of international standards. Be it a small function or stadium concert, we manage video switching, distribution, video mapping and control to perfection. We can video map on any building or structure, give us a blank canvas and we will bring it to life. Using giant screen displays of up to 20 meters high, coverage is never questionable. We also have a large roster of LED screens in many shapes and sizes to add more fun to your event.